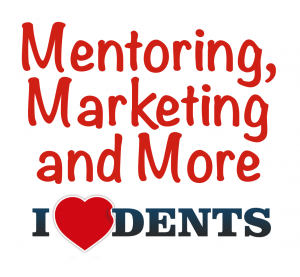 I Love Dents ™ is dedicated to helping paintless dent repair technicians build better businesses. Whether you are just getting started or run a multi-million dollar PDR company, I ♥︎ Dents can help you reach new levels and make more money. Dave Streen and Gene Fetty have studied marketing and business all of their lives and are now sharing this knowledge with the PDR Community. I Love Dents offers a menu of business and marketing services to choose from. Dave Streen has several degrees from the University of Kansas were he graduated from the Business School. He has worked as an efficiency expert for many of the top car wash chains in America and has owned and operated many successful businesses revolved around the Automotive Dent Repair Industry. His expertise is hail damage repair (AutoHail.com) but he owns or has owned several retail locations, a body shop, ran routes and just about every dynamic of “Pushing Dents”. His passion for the Dent Repair Industry has led to the opening his PDR Tool Company (EdgyTools.com) and now, I Love Dents™ with his friend and Industry Expert, Gene Fetty. Dave’s network includes a great many marketing giants such as Joe Polish and Ben Hunt. 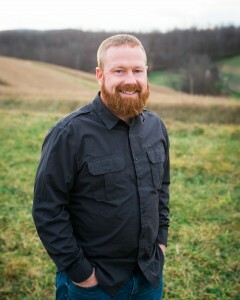 Gene Fetty is know from the PDR Marketing Minute Podcast and is the creator of ThePDRVideocourse. Gene’s desire to help the PDR Industry and the people in it is just as strong as Dave’s! Gene was the President of PDR Nation at a critical time for the organization and did a stellar job! Gene runs DentRepairNow which is one of Pennsylvania’s most successful PDR Companies servicing Dealerships, Body Shops and many fleet accounts as well as the General Public. Gene works with Dean Jackson on a personal level to bring his marketing game to levels unheard of before in the PDR Industry. Dave and Gene have developed a team of experts and a system for working seamlessly with them all to get things done quickly and affordably while yielding results that would easily cost 10 to 100 times as much as they are able to offer it. If you want your phone to ring and make more money when it does, you need to hop over to the I Love Dents Website right now! 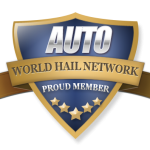 Hi Dave, Could you suggest a good Hail Estimating System I can load on to my computer?